I confess. I’d never heard of ‘Bump’ until a few years ago. I didn’t think my class would like the idea of their answer being stolen away from them. But surprise, they did! It’s a game style they now ask for over and over. 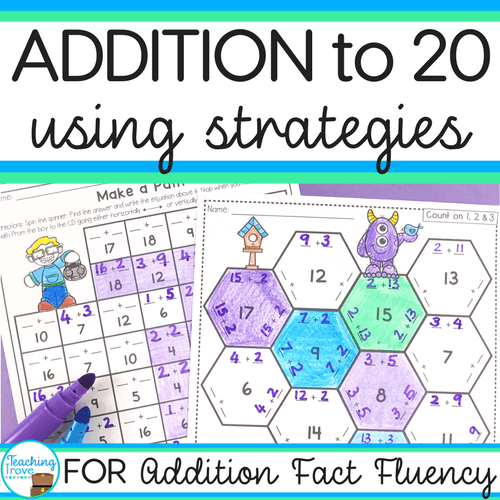 If you’re looking for a fun way to develop fact fluency. Cleverly disguised in the form of a partner game. That happens to be a twist on a bump game. 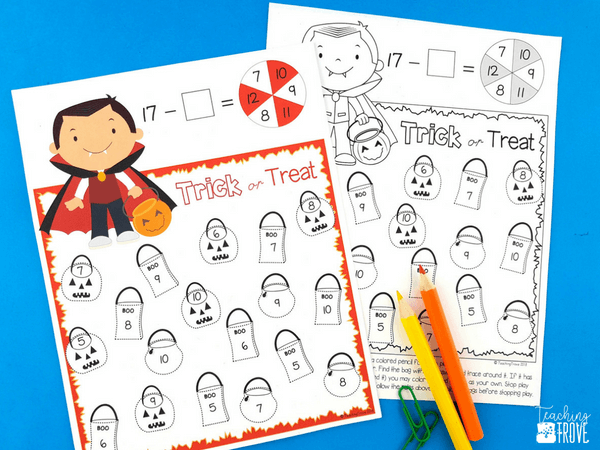 You’re going to love this Halloween freebie. Playing bump games the traditional way involves player one putting a counter on the answer. If player two also has the same answer, he or she takes player one’s counter off and replaces it with their own. The only way to ensure your counter is safe and you have ‘won’ that answer is to lock it in place with another counter on top of your first. These bump games have a bit of a twist. Color copy or black ink? Firstly you’ll need to decide whether you want color or black ink only. 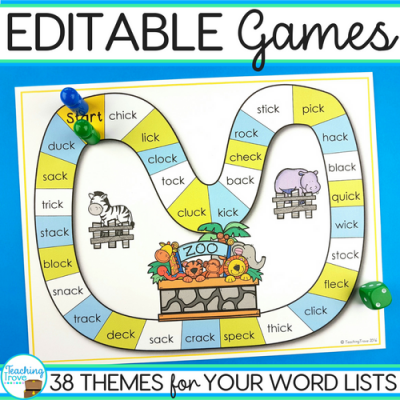 When I use a color copy I laminate it and use whiteboard markers with the game. 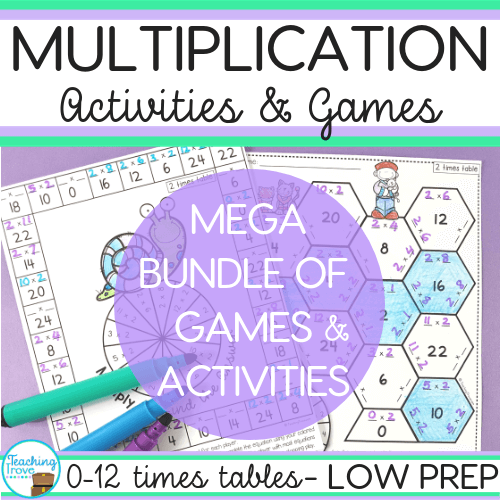 Do you want to use the game as a partner game or as a fast finisher activity? The black ink game is great for fast finishers. It has instructions already on the sheet for playing with a partner or as a single player so you don’t need a rules page. 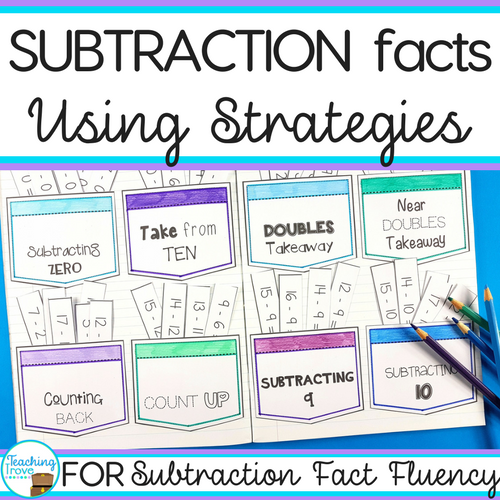 Do your students have fact fluency? 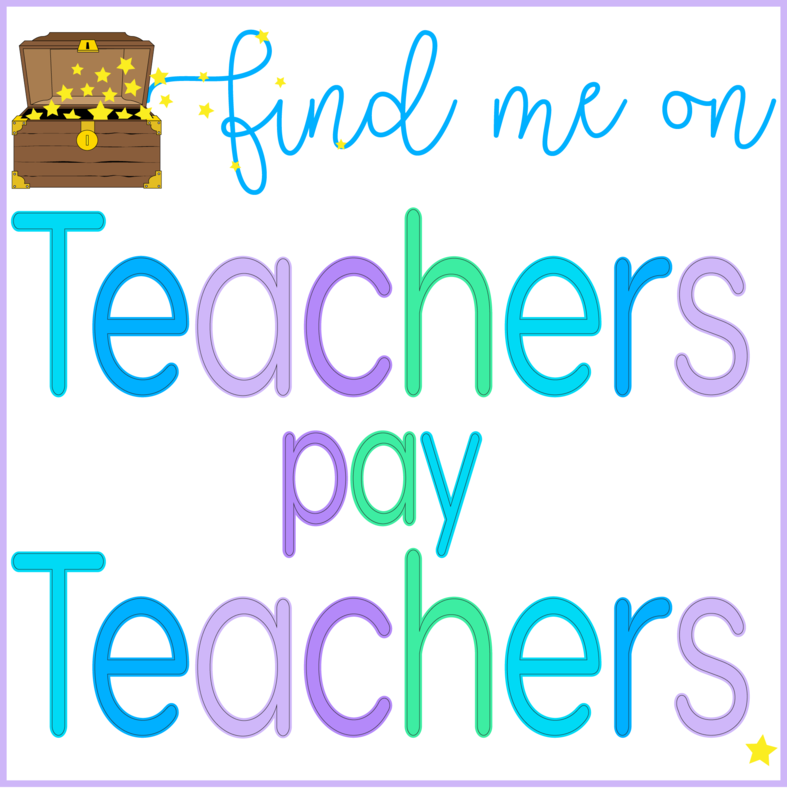 Can your students find the missing subtrahend? Raising that question will bring some interesting answers. Plus it will allow you to see who is on their way to fact fluency. 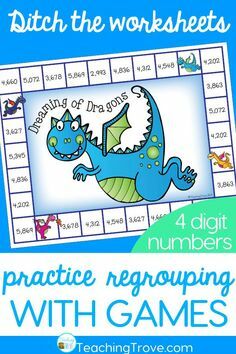 Fact fluency is more than the ability to recall the answers to the basic math facts automatically and without hesitation. It also requires students to be flexible with their thinking. 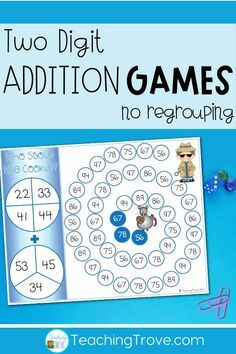 Are they able to link addition and subtraction and see that to get the answer to 17 – a = 10 they could think “10 plus what = 17”? Are they able to use the difference (the answer) to make the number sentence 17 – 10 = a? If your students are still at the concrete stage of learning then it’s really important that you give them manipulatives to use. You’ll need 17 for this game. You might even like to pair children of different abilities together. This could be a valuable opportunity for peer tutoring. 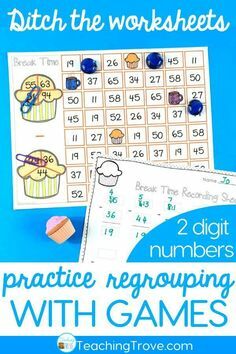 Students can share how to solve number sentences with missing subtrahends. 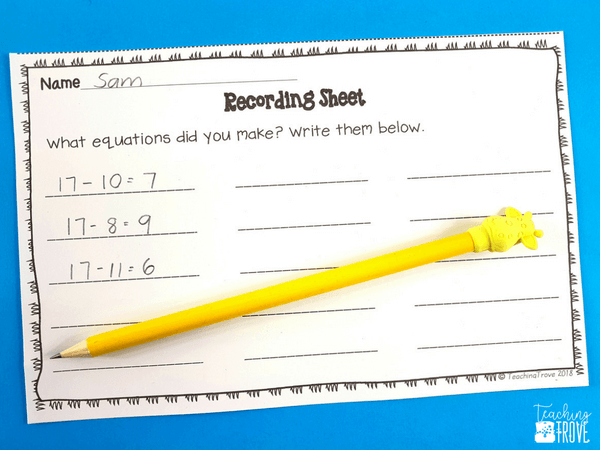 Imagine the wonderful math talk that would be happening in your room while your students are engaged in learning. 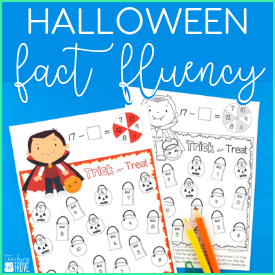 Once all the important questions are answered and you know how fact fluency is going to play a part in this game, it’s time to play! 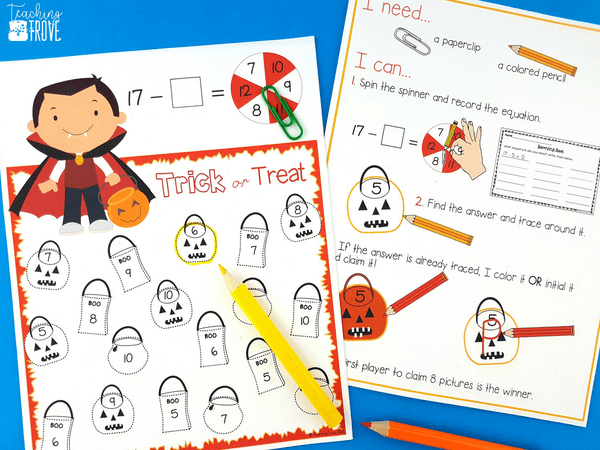 To play with a partner, each child takes their own colored pencil, pen or whiteboard marker. Player one uses the paper clip and spins to make a number sentence. Player one spins the paper clip to make a number sentence. He (or she) writes it down and answers it. To get the answer ‘Sam’ has shown that he can make the difference the subtrahend (the number we subtract) to get the answer. That’s fact fluency. Sam then traces around the answer. Player two spins, records the number sentence and traces around his answer. But, if the answer has already been traced he can claim it by coloring it in. 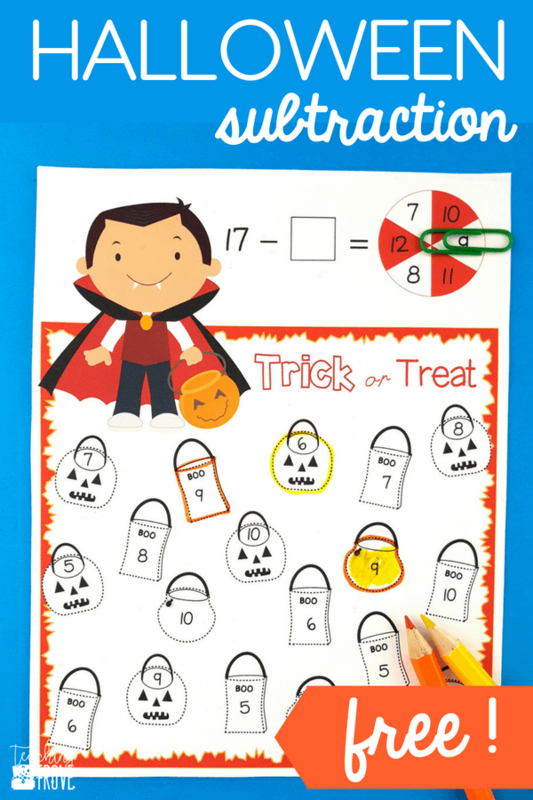 The partners keep playing until someone has won eight trick or treat bags. 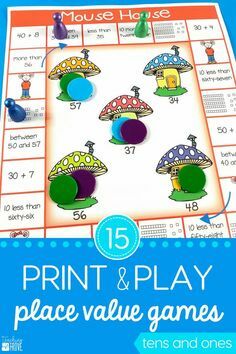 If you want to grab this fun and interactive game that your students can play independently or with a partner just click on the purple button below. 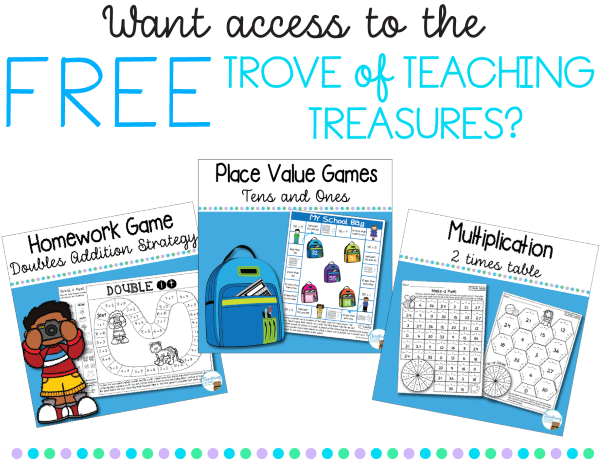 Do you want more opportunities for your students to work on their math fact fluency in a fun and motivating way? 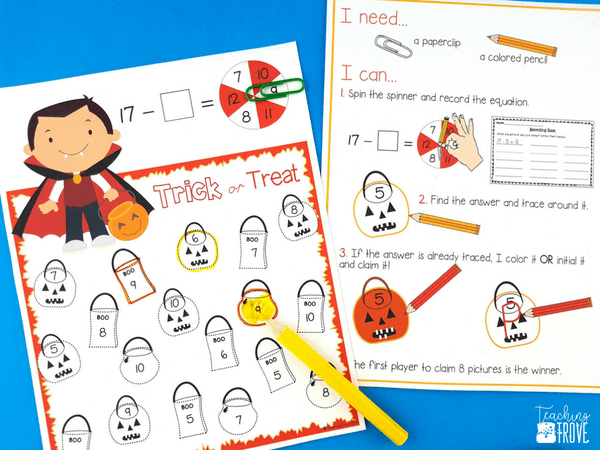 Grab my October themed fact fluency games from my Teachers Pay Teachers store. 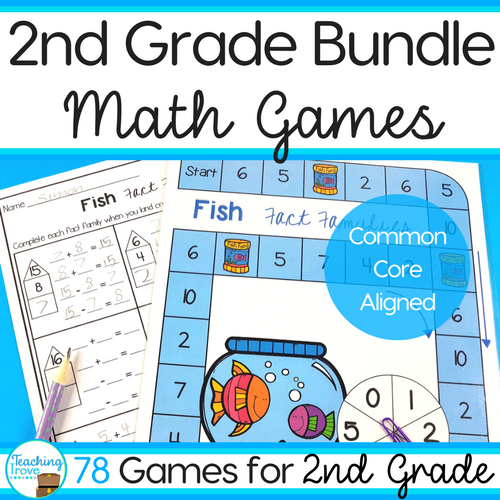 Or save with the bundle of 220 games and help your students achieve the flexibility of thinking they need to gain math fact fluency.